Few days ago I win an expired domain auction from GoDaddy. When I went to pay for the domain name I noticed this on the right side of checkout page. Nothing strange to most of the customers, but for the EU customers this is a bit confusing. According to GDPR that takes effect on May 28 2018. All personal data shouldn’t be public if you are EU resident. I have EU address saved in my GD account and also visiting the site from EU IP. 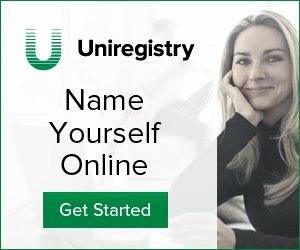 I do NOT have Privacy Whois for any of the domains that I have with GoDaddy.com. When I check whois.godaddy.com I do NOT see any of my personal information. They still trying to sell their Whois Privacy Protect Service to me? Today I was going to register a domain name with GoDaddy and I noticed this one too. When you register a domain, your name, address, email address and phone number are automatically published for the world to see. Well if you are US customer this is ok, but if you are EU customer this is false claim! They already hide your personal information in Whois and it’s not necessary for anyone located in EU to buy Privacy Protection. I think GoDaddy need to fix all this as soon as possible or they may face a legal problem.